Normal value ranges may vary among different laboratories. Conditions and circumstances associated with changes in thyroid-stimulating hormone (TSH), free triiodothyronine (FT3), and FT4 levels are listed in table 1, below. *Table adapted from: Dayan CM. Interpretation of thyroid function tests. Lancet. 2001 Feb 24. 357 (9256):619-24. **Goitrogen - Any substance that interferes with iodine uptake in the thyroid gland, thereby decreasing production of thyroid hormones. For specimen preparation, usually 1 mL of blood serum is collected by venipuncture (in adults) or by heel stick (in newborns) and drawn in a red-top container. T4 is one of two major hormones produced by the thyroid gland; the other is T3. T4 makes up about 90% of thyroid hormones. A feedback mechanism maintains thyroid hormone at an appropriate level in the body. When the level of T4 in the bloodstream decreases, the hypothalamus releases TSH-releasing hormone (TRH), which stimulates the pituitary gland to release TSH, which, in turn, stimulates the thyroid gland to make and/or release more T4 and T3. As blood concentrations of T4 increase, TSH release is inhibited. In the blood, T4 is either free (not bound) or protein-bound (primarily bound to TBG). The concentration of FT4 is only about 0.1% that of TT4. T4 is converted into T3 in the liver and other tissues. T3, like T4, is also highly protein bound. It is the free forms of T3 and T4 that are biologically active. FT3 is 4-5 times more active than FT4. One of the thyroid hormones' principal functions is to stimulate the consumption of oxygen and, thus, the metabolism of all cells and tissues in the body. 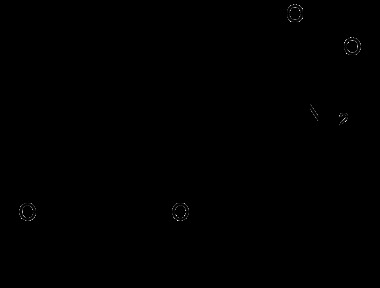 The chemical structure of T4 is shown below. TT4 and FT4 are two separate tests that can help to evaluate thyroid function. The TT4 test has been used in the past to help diagnose hyperthyroidism and hypothyroidism. It is a useful test but can be affected by the amount and affinity of protein available in the blood to bind to the hormone. The FT4 test is a newer test that is usually not affected by protein levels. Since FT4 is the active form of T4, the FT4 test is thought by many to be a more accurate reflection of thyroid hormone function, and, in most cases, its use has replaced that of the TT4 test. Fischbach FT, Fischbach MA, eds. Fischbach's A Manual of Laboratory and Diagnostic Tests. 10th ed. Philadelphia, Pa: Wolters Kluwer; 2018. Kratz A, Ferraro M, Sluss PM, Lewandrowski KB. Case records of the Massachusetts General Hospital. Weekly clinicopathological exercises. Laboratory reference values. N Engl J Med. 2004 Oct 7. 351 (15):1548-63. [Medline]. Dayan CM. Interpretation of thyroid function tests. Lancet. 2001 Feb 24. 357 (9256):619-24. [Medline]. [Full Text]. Kaplan MM. Clinical perspectives in the diagnosis of thyroid disease. Clin Chem. 1999 Aug. 45 (8 Pt 2):1377-83. [Medline]. [Full Text]. Burtis CA, Ashwood ER, Bruns DE, eds. Tietz Textbook of Clinical Chemistry and Molecular Diagnostics. 5th ed. Philadelphia, Pa: Elsevier Saunders; 2012. Cohen-Lehman J, Dahl P, Danzi S, Klein I. Effects of amiodarone therapy on thyroid function. Nat Rev Endocrinol. 2010 Jan. 6 (1):34-41. [Medline]. Durelli L, Ferrero B, Oggero A, et al. Thyroid function and autoimmunity during interferon beta-1b treatment: a multicenter prospective study. J Clin Endocrinol Metab. 2001 Aug. 86 (8):3525-32. [Medline]. [Full Text]. Wemeau JL, Kopp P. Pendred syndrome. Best Pract Res Clin Endocrinol Metab. 2017 Mar. 31 (2):213-24. [Medline]. Bajaj JK, Salwan P, Salwan S. Various Possible Toxicants Involved in Thyroid Dysfunction: A Review. J Clin Diagn Res. 2016 Jan. 10 (1):FE01-3. [Medline]. [Full Text]. English TN, Ruxton D, Eastman CJ. Abnormalities in thyroid function associated with chronic therapy with methadone. Clin Chem. 1988 Nov. 34 (11):2202-4. [Medline]. [Full Text]. Li D, Radulescu A, Shrestha RT, et al. Association of Biotin Ingestion With Performance of Hormone and Nonhormone Assays in Healthy Adults. JAMA. 2017 Sep 26. 318 (12):1150-60. [Medline]. [Full Text]. Melmed S, Polonsky KS, Larsen PR, Kronenberg HM, eds. Williams Textbook of Endocrinology. 13th ed. Philadelphia, Pa: Elsevier; 2016. Duran B, Ozlu T, Koc O, Esitken C, Topcuoglu A. Relationship of thyroid hormone levels and thyroid autoantibodies with early pregnancy loss and infertility. J Obstet Gynaecol. 2013 Nov. 33 (8):862-4. [Medline]. Isojarvi JI, Turkka J, Pakarinen AJ, Kotila M, Rattya J, Myllyla VV. Thyroid function in men taking carbamazepine, oxcarbazepine, or valproate for epilepsy. Epilepsia. 2001 Jul. 42 (7):930-4. [Medline]. [Full Text]. Chernecky CC, Berger BJ. Laboratory Tests and Diagnostic Procedures. 6th ed. Philadelphia, Pa: Saunders; 2013. Walter KN, Corwin EJ, Ulbrecht J, et al. Elevated thyroid stimulating hormone is associated with elevated cortisol in healthy young men and women. Thyroid Res. 2012 Oct 30. 5 (1):13. [Medline]. [Full Text].